Right after graduating USC in May 2015 with a major in Policy, Planning, and Development and a minor in Spatial Studies, I started a job as a contracted GIS Technician for Apple engineering teams. I worked with spatial data providing technical services, assessing, validating and enhancing world location data content for consumer applications and metrics. While working with Apple, I obtained the USC GIST online graduate certificate, but I was still looking for greater opportunities, more related to my passion for urban planning. With the graduate certificate on my resume, I quickly received another offer to join the Enterprise GIS team at San Francisco Bay Area Rapid Transit (BART) as a contractor, and then as a consultant. Even though there are only two Principal GIS Analysts and me, BART's GIS repertoire is renown, winning multiple Esri achievement awards. In my first couple of weeks, I attending training for Schnieder Electric's ArcFM extension for fiber optic network. 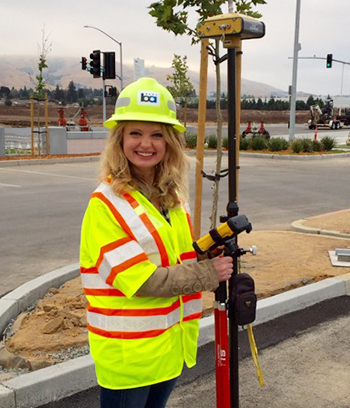 Now I am the primary implementation and management specialist for BART's over 13 million feet of fiber optic cable connecting major transportation and telecommunication companies throughout the Bay Area. I also help out with various cartography related tasks for the construction teams, planners, IT department, police department and other departments within the larger transit agency, as well as data clean-up and asset feature data updates to ensure our data integrity, and heads-up digitizing. I have learned so much in the year that I have been with BART, and recently decided to finish my USC M.S. in GIST degree. Since I now have a focus and a bit of a specialization, it is much easier to choose a relevant thesis and choose classes based on my career goals. Being a part of BART is such a great opportunity that I never would have gotten without USC's stellar reputation and the heavy emphasis on the ArcGIS suite. It has given me the tools to learn on the job and become an expert in a field I never would have guessed.